A Syrian girl and her mother move to the United States, leaving her beloved brother and father behind in this novel in verse. 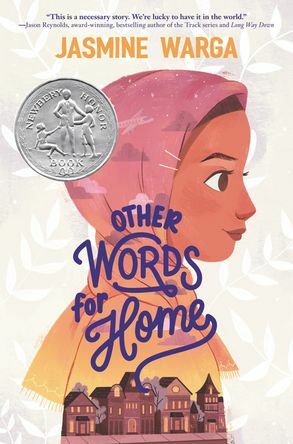 A gorgeously written, hopeful middle grade novel in verse about a young girl who must leave Syria to move to the United States, perfect for fans of Jason Reynolds and Aisha Saeed. Jude never thought she’d be leaving her beloved older brother and father behind, all the way across the ocean in Syria. But when things in her hometown start becoming volatile, Jude and her mother are sent to live in Cincinnati with relatives. At first, everything in America seems too fast and too loud. The American movies that Jude has always loved haven’t quite prepared her for starting school in the US—and her new label of “Middle Eastern,” an identity she’s never known before. But this life also brings unexpected surprises—there are new friends, a whole new family, and a school musical that Jude might just try out for. Maybe America, too, is a place where Jude can be seen as she really is. This lyrical, life-affirming story is about losing and finding home and, most importantly, finding yourself.